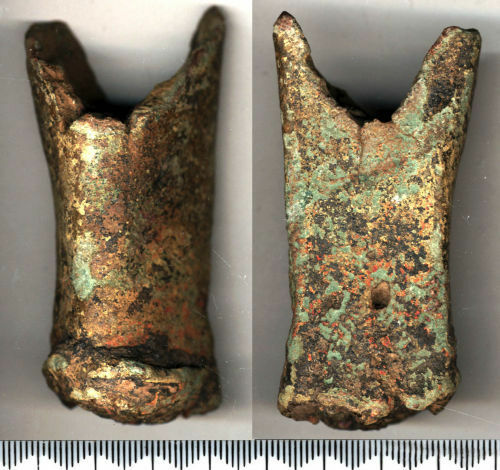 Large cast copper-alloy leg from a vessel. In cross-section it is triangular with rounded sides and corners, and it tapers slightly from one end to the other. The wider end has a deep U cut out of the end, and the narrower end has a swollen and crudely rounded end. Both ends are rough and full of casting flaws and holes.